Before you go through this article, make sure that you have gone through the previous article on Cache Memory. Cache memory bridges the speed mismatch between the processor and the main memory. The required word is present in the cache memory. The required word is delivered to the CPU from the cache memory. The required word is not present in the cache memory. The page containing the required word has to be mapped from the main memory. This mapping is performed using cache mapping techniques. In this article, we will discuss different cache mapping techniques. 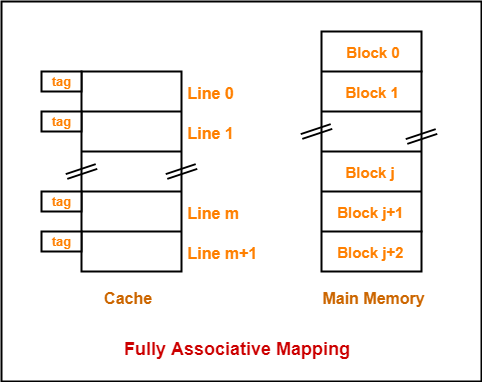 Cache mapping defines how a block from the main memory is mapped to the cache memory in case of a cache miss. Cache mapping is a technique by which the contents of main memory are brought into the cache memory. Main memory is divided into equal size partitions called as blocks or frames. Cache memory is divided into partitions having same size as that of blocks called as lines. 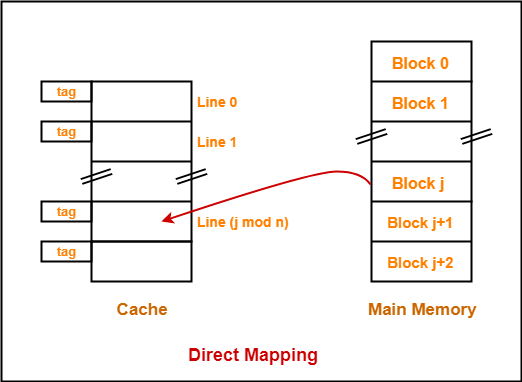 During cache mapping, block of main memory is simply copied to the cache and the block is not actually brought from the main memory. A particular block of main memory can map only to a particular line of the cache. Consider cache memory is divided into ‘n’ number of lines. Then, block ‘j’ of main memory can map to line number (j mod n) only of the cache. There is no need of any replacement algorithm. This is because a main memory block can map only to a particular line of the cache. Thus, the new incoming block will always replace the existing block (if any) in that particular line. A block of main memory can map to any line of the cache that is freely available at that moment. This makes fully associative mapping more flexible than direct mapping. All the lines of cache are freely available. Thus, any block of main memory can map to any line of the cache. Had all the cache lines been occupied, then one of the existing blocks will have to be replaced. A replacement algorithm is required. Replacement algorithm suggests the block to be replaced if all the cache lines are occupied. Thus, replacement algorithm like FCFS Algorithm, LRU Algorithm etc is employed. Cache lines are grouped into sets where each set contains k number of lines. A particular block of main memory can map to only one particular set of the cache. However, within that set, the memory block can map any cache line that is freely available. k = 2 suggests that each set contains two cache lines. Since cache contains 6 lines, so number of sets in the cache = 6 / 2 = 3 sets. Block ‘j’ of main memory can map to set number (j mod 3) only of the cache. Within that set, block ‘j’ can map to any cache line that is freely available at that moment. If all the cache lines are occupied, then one of the existing blocks will have to be replaced. Set associative mapping is a combination of direct mapping and fully associative mapping. It uses fully associative mapping within each set. Thus, set associative mapping requires a replacement algorithm. If k = 1, then k-way set associative mapping becomes direct mapping i.e. If k = Total number of lines in the cache, then k-way set associative mapping becomes fully associative mapping. 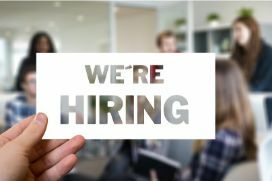 Get more notes and other study material of Computer Organization and Architecture. Cache mapping is a technique that defines how contents of main memory are brought into cache. 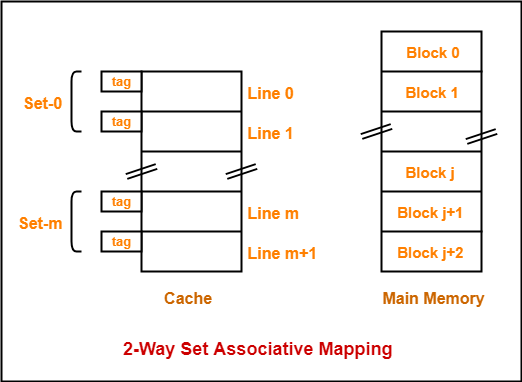 Cache Mapping Techniques- Direct Mapping, Fully Associative Mapping, K-way Set Associative Mapping.